MediExamPrep an online portal provides you the BEST online course for NEET DM Gastroenterology. We offer various test series for superspeciality aspirants. This is also a part of the MediExamPrep vision to be a one-stop center for all your needs as a medical student. Weekly tests and Grand tests are available which are helpful in letting candidates know where they stand and how exactly to change their pattern of study for a better result next time. MediExamPrep is a team of highly dedicated Medical Professionals who are having a passion for Medical Sciences. They will be conducting discussion sessions in their respective fields. These sessions will help you to prepare more precise notes so that you know what exactly you need to focus on. One important point to note is – the short topics play a bigger role in your rank at the end cause everyone pays attention to the larger topics, forgetting that the short topics are the real tricky ones to crack and can change your ranking factor. MediExamPrep is a one-stop center for all your needs as a medical student. Now MediExamPrep has the NEET DM Gastroenterology a computer-based online test preparation tips and syllabus, discussion forums and expert answers for each topic and difficult questions. The previous students of NEET DM Gastroenterology have helped for getting post-graduation seat and they will conduct discussions on our portal. Our team of doctors and experts will now offer quality education to get thru with the super-specialization entrance. Candidates who appear for the NEET DM Gastroenterology exam are advised to go through the NEET DM Gastroenterology exam pattern. Students need to combine hard work with smart work. 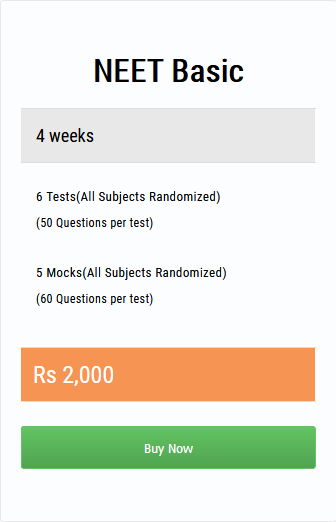 You can prepare according to the weightage given to each subject for the examination. Checks which subjects have maximum weightage or the maximum number of questions start preparing with these subjects first and then go down to the subjects which have least weightage.